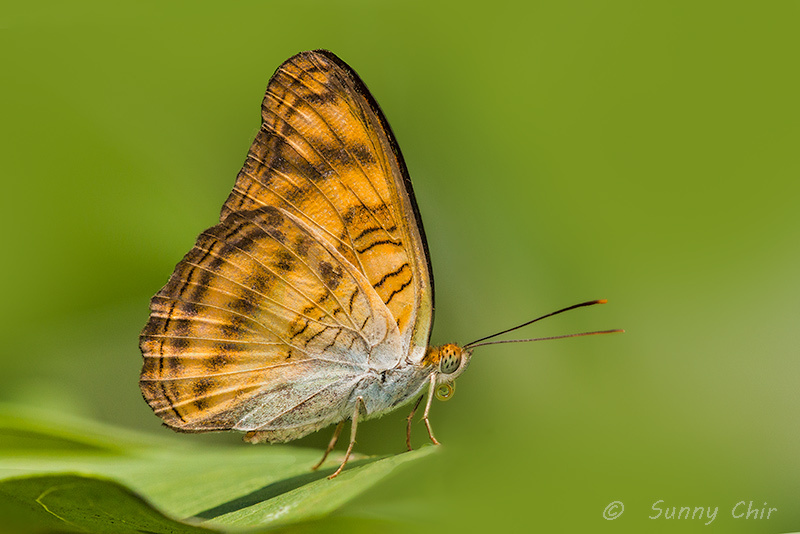 This predominantly orange coloured butterfly is considered moderately rare and is a forest-dependent species. It belongs to the subfamily Limenitidinae which features many species with common names that are associated with military ranks and aristocratic peerage. 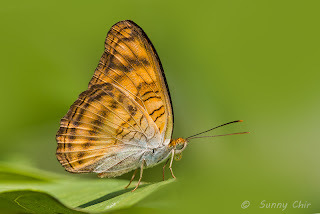 (See earlier blog article on Origin of Some Common Names of Butterflies) The Colonel's wings are dark orange above with dark brown shading in the basal halves of the wings. The underside is a paler orange but with the basal area of both wings a greenish-grey. This perching Colonel was photographed by ButterflyCircle member Sunny Chir as it was taking a rest from feeding and flying around in a forested patch in the nature reserves. The butterfly is skittish and very alert to potential threats and hence is a challenge to get a good shot of, except perhaps when it is distracted whilst feeding.